It is ADZPCTKO time again. 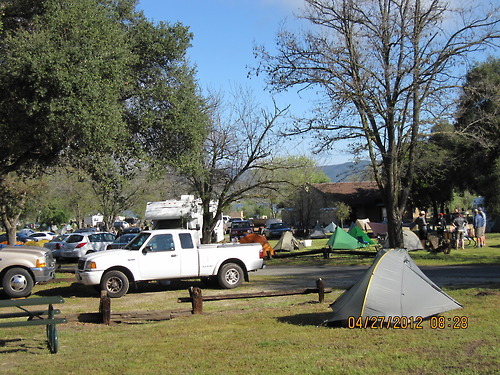 April 26 – 28, hundreds of PCT hikers, trail angels, and friends of the trail will gather at Lake Morena. Here are a photo from the 2012 Kick-Off. On both Friday and Saturday evenings this year, stories from The Pacific Crest Trailside Readers will be read (Liz Bergeron will read Walkin’ Jim Stoltz’s “Out on the Crest Trail” and Russ Mease will read “Facing My Fears on Three-Fingered Jack” on Friday and Ryan Forsythe will read “Sometimes They Come Back” on Saturday). Hot of his 2012 Appalachian Trail thru-hike, 30 Pack will be at Lake Morena as he takes on the Pacific Crest Trail this year! Best Wishes 30-Pack!! !